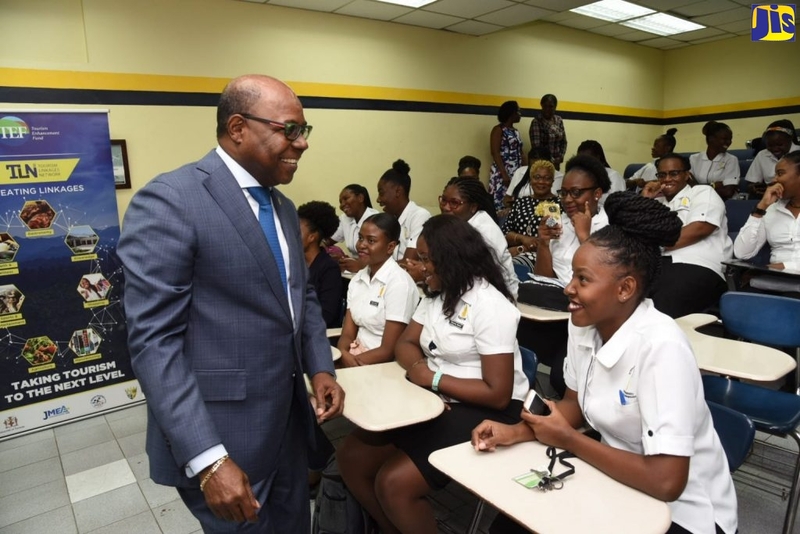 State Minister in the Ministry of Education and Youth, Senator Noel Monteith, has said that the Government was committed to the ideal that, “every child can learn and that every child must learn”. Making his contribution to the State of the Nation Debate in the Senate on Friday (November 13), the State Minister said the Government was “focused on the implication of such a statement”, and was taking ardent moves to ensure that not only high levels of school enrolment took place, but that there was access to high quality education. “The Government has put in place various programmes to ensure that all our children have access to education and, in addition, the transformation will certainly look at improving the quality,” he said. Senator Monteith noted that Opposition Senator, Christopher Tufton, had in the previous sitting of the Senate, referred to Government’s promise in 2003 that cost sharing would be discontinued as of 2005 and that this did not happen. Dr. Tufton had also alleged that he had been informed by letter that at least one student was turned away from classes because of the inability to pay the school fee. But the State Minister dismissed this as an isolated case, if it really occurred, and stressed that Principals had been given firm orders not to exclude non-paying students. Speaking further, Senator Monteith said it was true that such a commitment was announced in 2003, but clarified that based on three factors, a new policy was implemented. “We did make that pledge and we did say that as of 2003, high school fees would be frozen at the present level then and discontinued by 2005. We have said this several times, so I don’t understand why Senator Tufton had to go back to this. It is no secret that we.announced a review of that policy in a very straightforward way. We are not making any excuses,” he added. According to the State Minister, the Government’s decision to review their initial plans to discontinue cost sharing as of last year was based on several requests to retain cost sharing by the Principals Association and recommendations in the Task Force on Education as well as the Government’s own ability to fund the total cost of school fees at the time.Senator Monteith reiterated that the Government’s policy was that they “will pay all the fees for students on the Programme for Advancement Through Health and Education (PATH) Programme”. “Presently, we have 46,000 students on the Programme. Government has undertaken to pay 50 per cent of the fees for all [other] students, [and] parents are asked to contribute the other 50 per cent, but with the rider that those who cannot afford to pay the 50 per cent, they will not be turned away based on their inability to pay,” he added. The State Minister pointed out that some $1 billion was spent on Secondary school fee assistance and emphasised that compared to the last academic year, some $130 million more would be allocated to examination assistance for ordinary and advanced level examinations this year.